This is a quick little dessert you can whip up if you feel like ending on a sweet note but don't want to spend too much time preparing a dessert.. 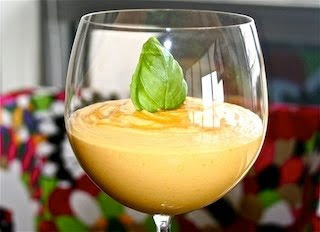 Very simply whip up the whipping cream and fold in the mango puree gently.. If the mangos are not ripe enough then add more honey.. Chill in the fridge for at least one hour.. Voila!